The Flexi AC 1200/1250 electric powered articulated forklift truck is the most popular articulated forklift truck in Europe. The important design elements, together with the numerous advanced operational and safety features increase the Flexi AC 1200/1250’s appeal even further for operators. 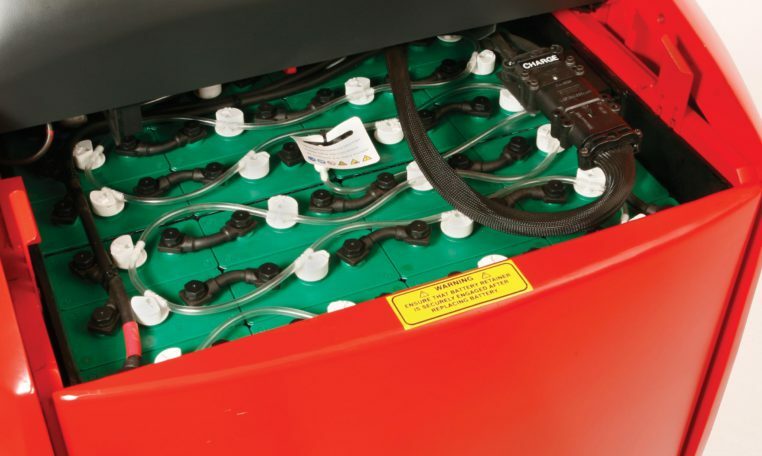 At the heart of the Flexi AC forklift concept is a commitment to operator safety and handling efficiency that combine to make Flexi AC 1200/1250 the most complete and compelling articulated forklift truck range currently available. Compared to the conventional moving mast Reach Truck, Flexi AC range creates up to 30% more storage space within an existing warehouse. In addition, Flexi AC doesn’t require any extra clearance between the floor and the first pallet rack beam, to account for the reach truck stabilising legs. 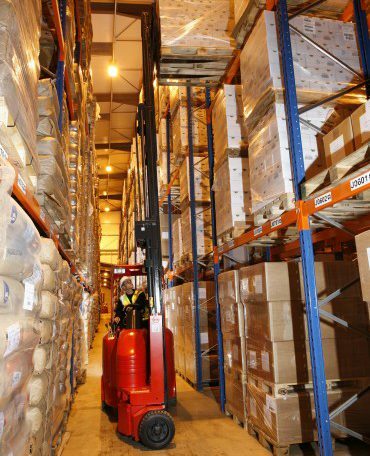 The Flexi very narrow aisle (VNA) concept has become very popular in the logistics and distribution industry allowing safe and efficient low level customer order picking in 2m aisles whilst optimising pallet storage density. The Flexi aisle is clear with no steel guide rails to hinder ground level picking the Flexi operator sits at ground level in the same working space as low level order pickers. There are no safety issues when driving in the narrow aisle as those encountered when operating high lift Man Up rising cab trilateral trucks (Combi). Many Narrow Aisle Flexi customers in the Third Party Logistics industry are able to pick and assemble customer orders at the rate of 180 cases per hour in the same aisle as the Flexi which can replenish bulk pallets over 30 per hour. Narrow Aisle Flexi can help you master the most efficient operation for your warehouse with complimentary free warehouse consultation design and simulation service. 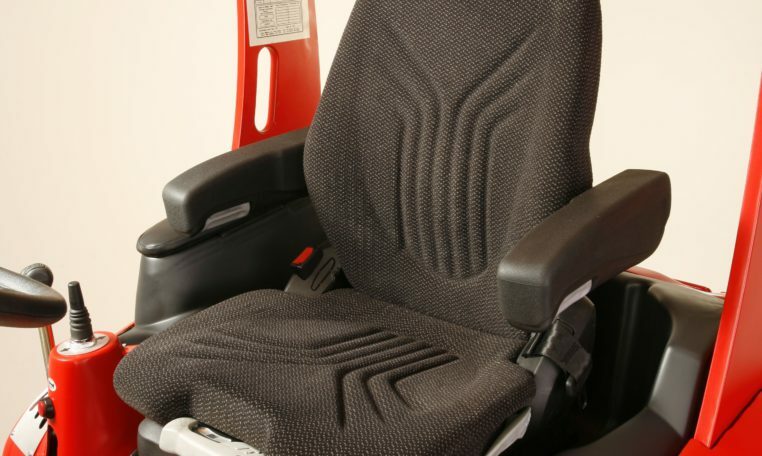 Latest AC technology for fast acceleration and safe controlled braking. Integrated fault finding and monitoring. 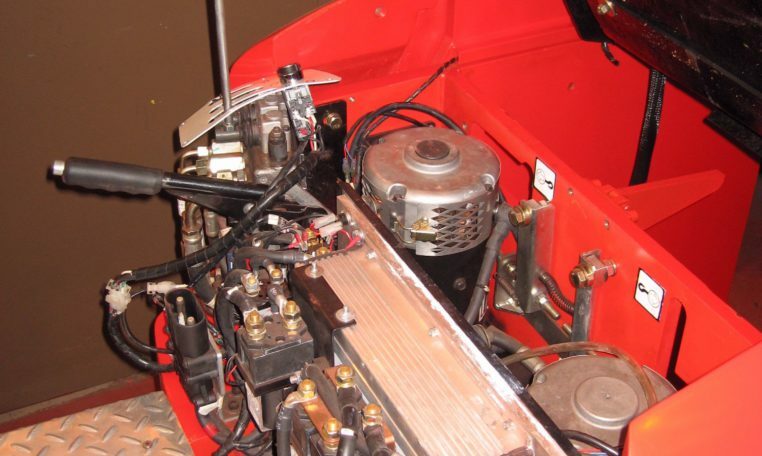 Fast, easy access to all serviceable components only two covers to remove. 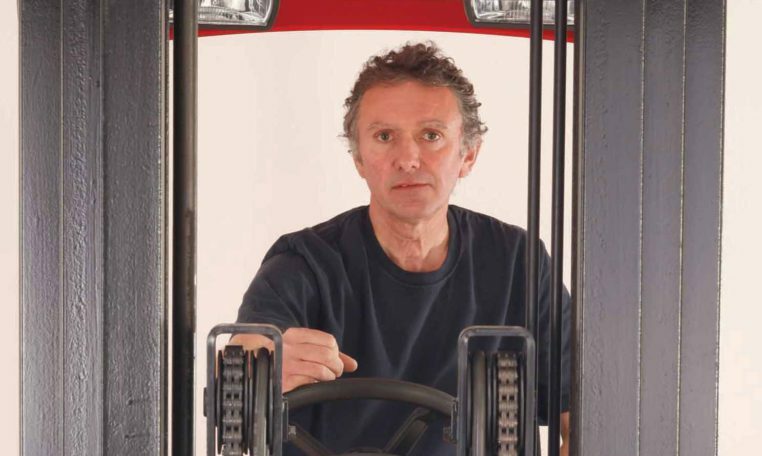 Forward facing driving position with ‘VISION’ clear mast for safe operation. 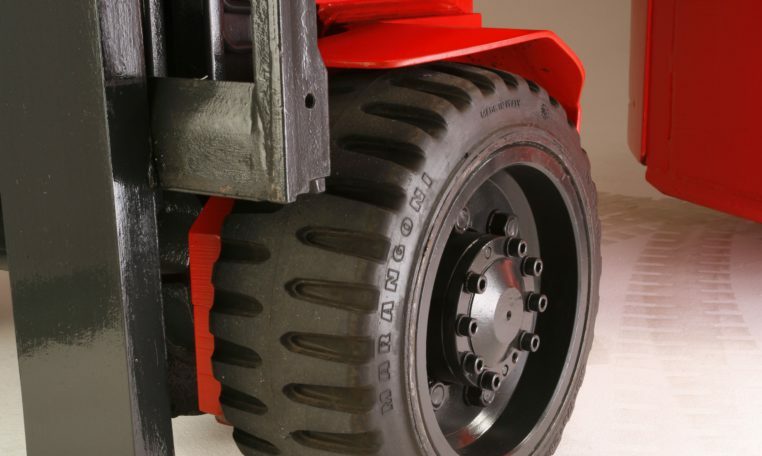 Four large SuperElastic tyres deliver optimum performance and traction in all yard conditions.